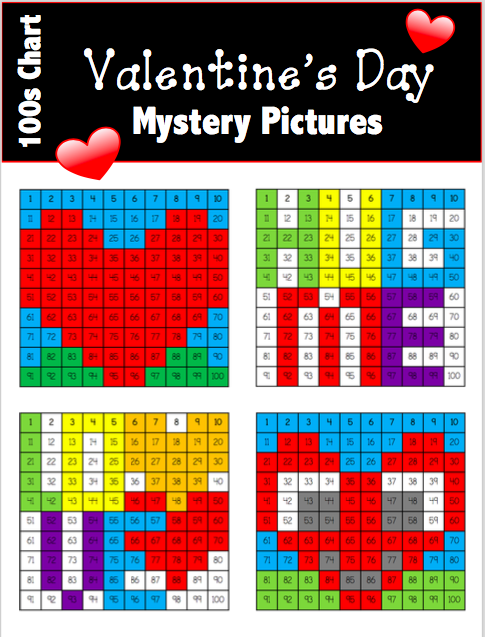 Valentine’s Day Mystery Pictures Set. 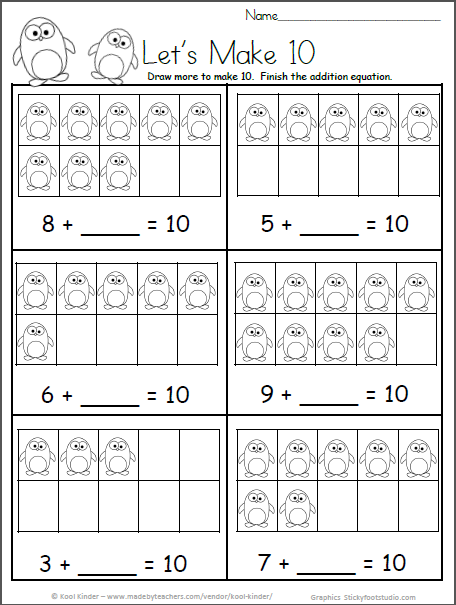 There are 4 different mystery pictures included in this 100s chart math set, and there are 3 versions of each mystery picture (12 pages total). 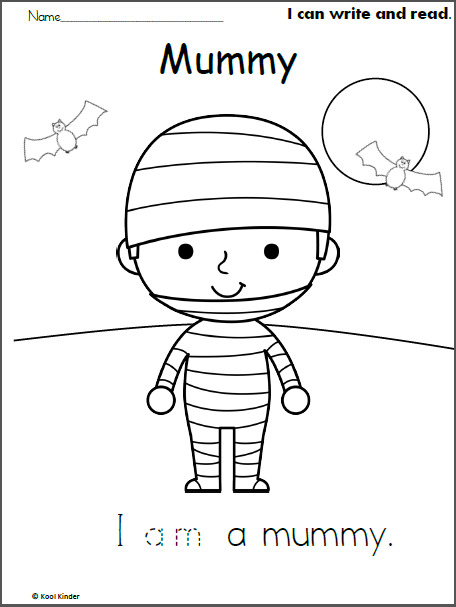 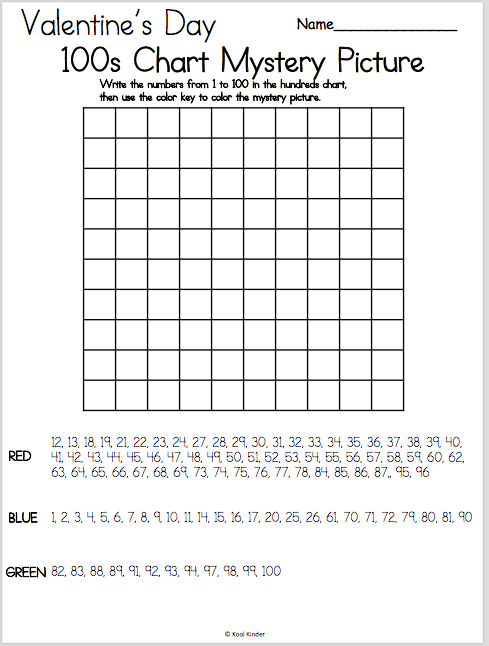 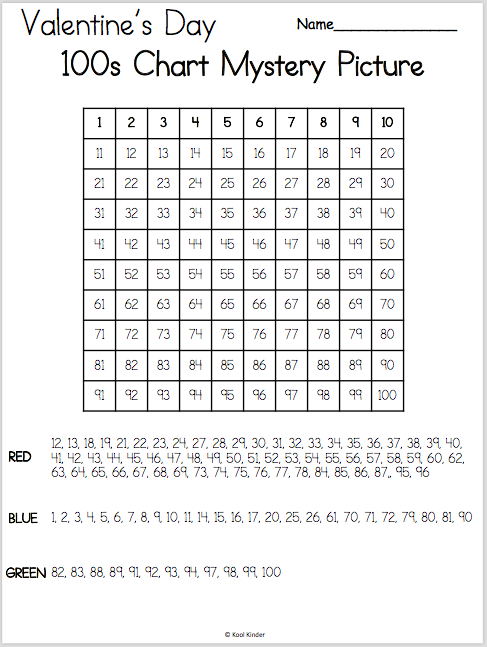 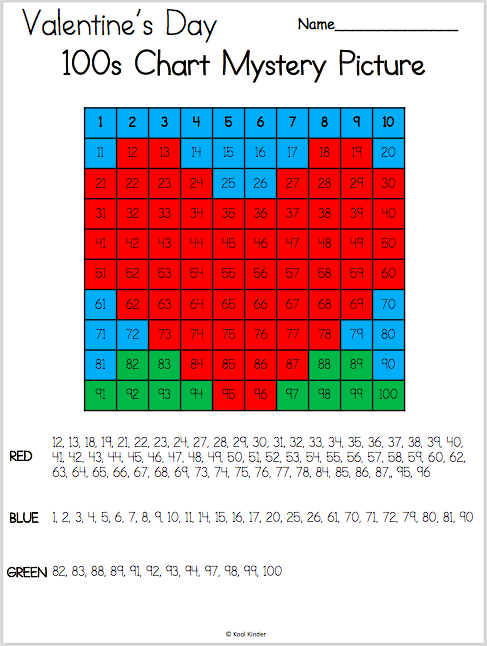 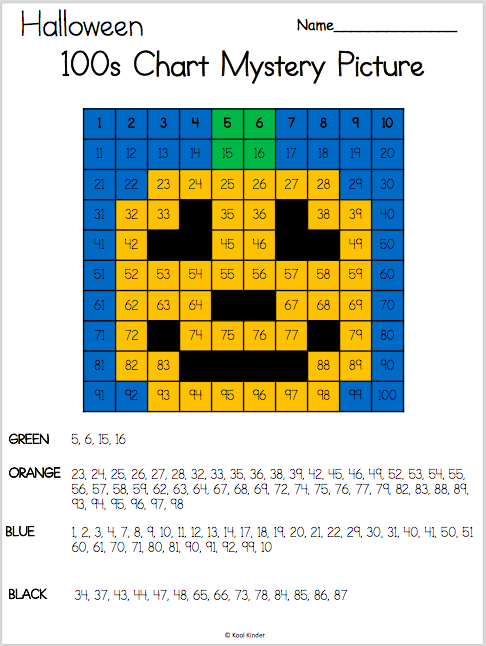 For each picture there is a colored example, a non-colored worksheet for students to color, and a blank 100s chart for students to write the numbers and color.